In a small bowl, mix together: soy sauce, sesame oil, sugar, minced garlic, and black pepper. Add salmon to marinate for 1-2 hours. 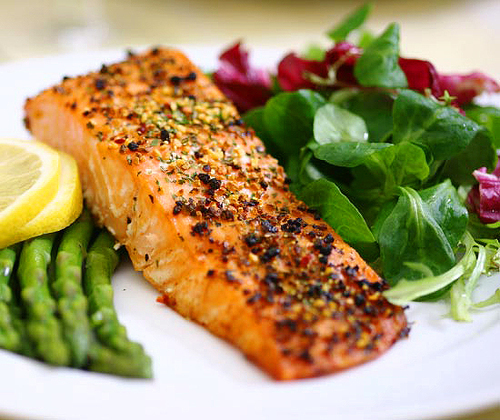 Place salmon in a small non-stick baking dish (use oil or butter for non-stick if necessary). Bake salmon for five minutes on both sides.